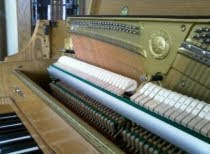 Dear Customer: Beginning on August 1, 2015, Rensberry Piano Service will charge a basic fee for piano tuning of $65 per piano. 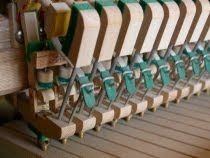 Additional fees will apply only if the piano needs extra work, if a special or urgent appointment is needed, or if the piano is located beyond a distance of approximately 40 miles from Edwardsville or Troy, Illinois. 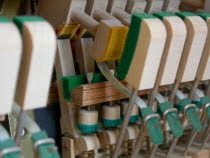 We value your business tremendously and will discuss any and all potential fees beyond the basic tuning rate prior to servicing. 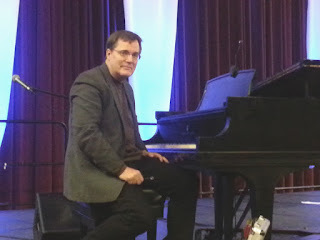 As with any business, the setting of prices and fees can be a challenge, but by minimizing expenses, coordination of appointments, and efficient servicing, we will continue to offer one of the most competitive piano tuning rates in the St. Louis and Metro East region, and throughout much of central Illinois. Our mission and policy is to provide the highest quality of piano servicing possible at a fair and reasonable price. 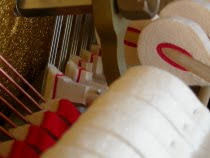 If you have any questions at all, whether related to cost, quality, or repair options, please do not hesitate to contact us, either by phone or by email. 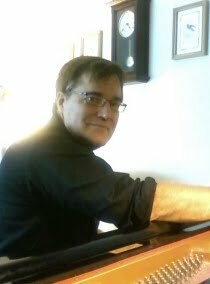 -- Steve Rensberry, Piano Tuner-Technician.